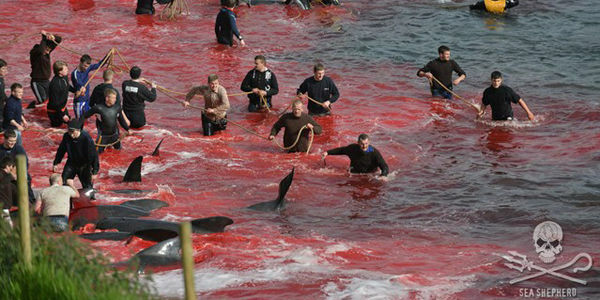 petition: Release Activists Who Tried to Save Faroe Island Dolphins! Activists from Sea Shepherd attempted to disrupt the hunt, but five crewmembers were detained and then arrested. Now, these brave activists face up to two years in prison for attempting to stop one of the most sadistic mass-killings in the world. As Sea Shepherd founder Paul Watson wrote, "In the Faroes, empathy is a crime and kindness is ridiculed."